Choosing a financial professional is kind of like buying a mattress. There are a lot of choices. Different styles, brands, and options can make the process overwhelming. I encourage you to comparison shop so you can meet different professionals and find the right fit for you. How do fully licensed financial professionals get paid? As an industry, we do a pretty good job of confusing people though it is definitely not our intention. For example, when you visit a financial professional, ask them how they get paid. You’re likely to get a confusing answer but it’s not that way at Heritage Financial Strategies! Fully licensed professionals get paid in one of three ways. Commission from the products they sell. Take stocks, for example. A fee is charged when a stock is bought or sold and the professional makes a percentage of the commission as their income. Money Management which is a percentage of the assets under management rather than a commission on assets bought and sold. Financial Planning Fee which can be a one-time or annual fee to prepare a financial plan or help you make decisions about various financial subjects. Are you fully licensed and what does that mean? If you’re talking to a professional that is only licensed for securities or insurance, it’s likely they will only recommend the products they are licensed to sell. Makes sense but it may not be in your best interest. I am fully licensed meaning I hold securities and insurance licenses. I have a Series 7 and 66 which allows me to sell pretty much any investment. I also have a life insurance license which allows me to sell life, long-term care, and annuities. What kind of continuing education is required for financial professionals? As with any professional that you hire, it is important that they be constantly learning about their industry. Those of us that are fully licensed, we must maintain our licenses with continuing education and add to our knowledge by getting additional certifications. For example, I have the AAMS designation, which stands for Accredited Asset Management Specialist. That designation requires that I have tenure in the industry and additional continuing education as well subscribe to a code of ethics. 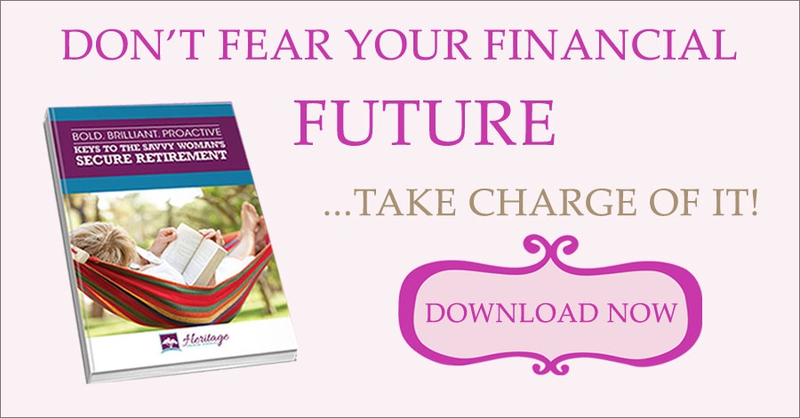 What can my clients expect when they choose Heritage Financial Strategies? When you choose to work with Heritage Financial Strategies, you’re working directly with an experienced financial professional who seeks to understand your goals and develops a plan to get you from where you are today to where you want to be. As an entrepreneur myself, I am always looking for ways to help business owners achieve their goals whether it is saving for children’s education, buying a home, or retirement. To learn more about how I help my clients, check out my podcast with Marie Grace Berg on Today’s Leading Women. Call 480-397-1184 to schedule an appointment to learn how I can help you reach your financial goals!